Professor Fritjof Helmchen of the Brain Research Institute, University of Zurich, has been elected as a new member of the Swiss National Science Foundation (SNSF) Research Council. He will be a member of Division III, Biology and Medicine, and will take up office on 1 April 2018. 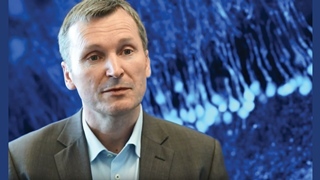 Fritjof Helmchen is professor at the Brain Research Institute, University of Zurich and currently the director of the Neuroscience Center Zurich (ZNZ). His research is focused on the study of neural activity patterns during behavior and learning on the subcellular, cellular, and circuit level using modern optical methods. See Laboratory of neural circuit dynamics. The National Research Council of the SNSF evaluates several thousand applications each year and makes funding decisions. It is composed of around hundred distinguished researchers who mostly work at Swiss institutions of higher education. Helmchen sees his appointment “as a great opportunity to contribute to the selection of outstanding research projects for funding and particularly to help promote excellent young scientists”. He expects the breadth of topics to be “inspiring and challenging at the same time”.